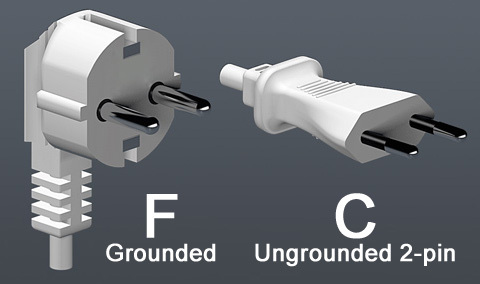 Top Tip: Bring adapters for your electrical goods! Electricity in Finland is 230V, 50Hz. Devices for 220-240V work fine. Volume calculator: Compute volume and chargeable weight for air, land and sea freight. These international moving services are well established in Finland and have strong reputations for professionalism, reliability and quality. They can arrange door-to-door international moves via land, sea and/or air practically anywhere in the world. Services can include packing & unpacking, insurance, customs clearance, storage and warehousing facilities, cleaning services and disposals services. Some also offer domestic moving services. Finnish Agents: These companies also provide agency work i.e. acting as the Finnish agent for other movers around the world booking moves to and from Finland. Websites are in English+ with online quotation requests, moving apps, moving tips and other handy information. Finnish moving, shipping and transportation company established 1885, with a strong reputation. International moves, domestic moves, corporate / office moves, warehousing services, freight and transport services, vehicle imports and exports. Victor Ek offers additional services such as insurance, cleaning, and furniture rental in Finland. Quality assured by FIDI, IAM, HRN and SMPY memberships. Finnish moving company established 2005 providing international removals of any size, including shipping of vehicles. Travelcargo International Removals offers additional services such as transport insurance and both short and long-term storage. Special services include IPATA certified pet transportation and excess baggage - often cheaper than airline charges for overweight baggage. Travelcargo International Removals is an ISO 9001 quality certified moving company and member of IAM (International Association of Movers). Finnish moving company established 1981 providing flexible moves of any size, including shipping of vehicles. International moving services including customs clearance for consumers and businesses. Niemi also provides household moving services, and a range of office relocation and corporate services. Extra services include insurance, packing, storage, recycling and cleaning. As part of the FIDI global alliance, Niemi complies with rigorous quality standards. Tips for Moving: Niemi's Knowledgebase includes FAQs and tips for international and residential moves. Offices in Helsinki, Tampere, Turku, Oulu, Jyväskylä, Lahti and Pasila. AQM provides international moving and secure storage services, as well as full pre-arrival and post-arrival relocation services. Founded 1995, AQM has offices throughout Finland, Sweden, Norway and Denmark, and quality partnerships facilitating moves worldwide by air or sea. Specialised packing available for shipments such as art and antiques. AQM are FAIM and Intertek certified. In practice, if somebody is moving to or from Finland and can get their VAT-registered employer overseas to accept the invoice then they can 'save' the VAT.